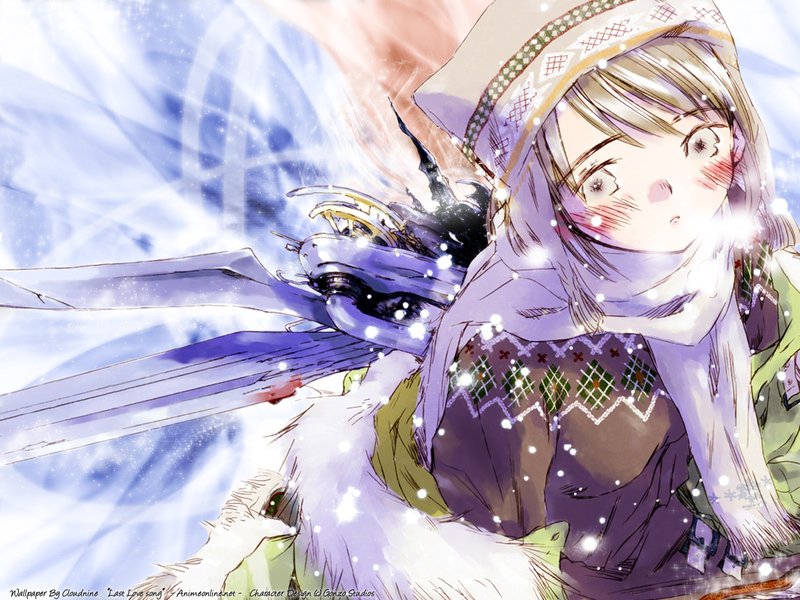 The image was taken from a Saikano artbook, originally the image had snow ALL OVER Chise.. she was literally buried in it ^^; I cleaned up as much of it as I could and left a few for effect. My first attempt at an abstract/techy wall, enjoy~! one of the better saikano walls out there. nice job! so cold and scary... >_<; but nonetheless, the bg's awesome! awwww she's so cute, chise so adorable, thanx for this, it's great!! *thumbs up* for beautiful wall! Amazing... amazing... she are so cute on this one!